(if you have issues with the link, please copy=paste it into your browser bar. It is a Firefox, Safari, Explorer issue). 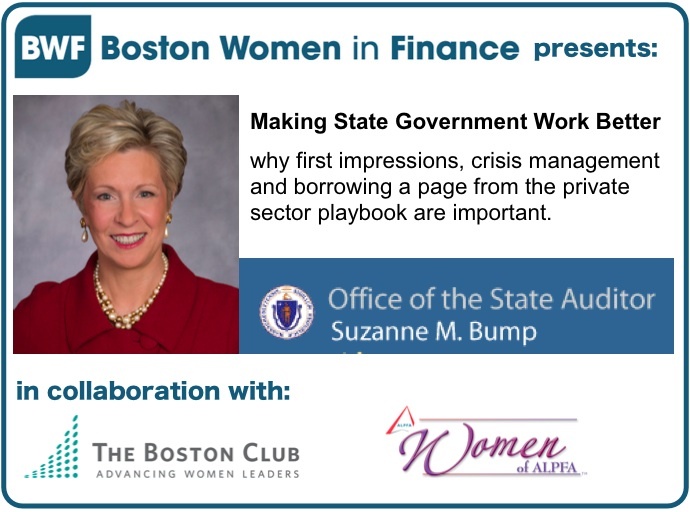 Please join us for our premiere event of the Fall ... lunch with State Auditor Suzanne Bump as our keynote speaker! Agenda: 11:45 Registration, 12pm Networking, 12:30 remarks and Q&A, 1:30pm networking until close.